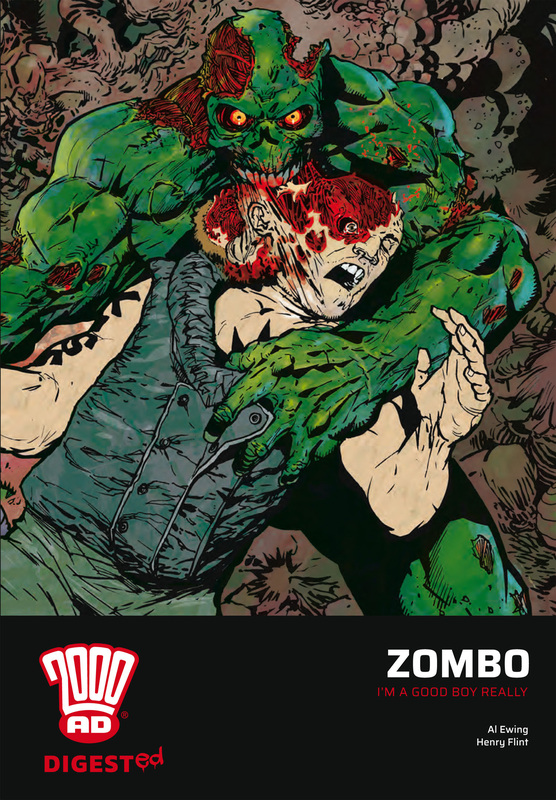 Zombo features in this all new digest version of the collection from Rebellion and the pages of 2000 AD – out this week in print and digitally! An all-new digest sized edition of the riotous and hilarious sci-fi horror comedy about a polite bio-weapon zombie! When flight 303 crash-lands on the lethal deathworld known as chronos, all is not looking well for the surviving passengers. Enter zombo; a top secret government experiment – part zombie, part human ghoul, with a taste for living flesh and aspirations of pop stardom! Written by Marvel superstar Al Ewing (The Incredible Hulk, Loki: Agent Of Asgard, Mighty Avengers).